For people experiencing homelessness, Regional Access Points (RAPs) are the primary starting points to access housing resources in Seattle/King County. 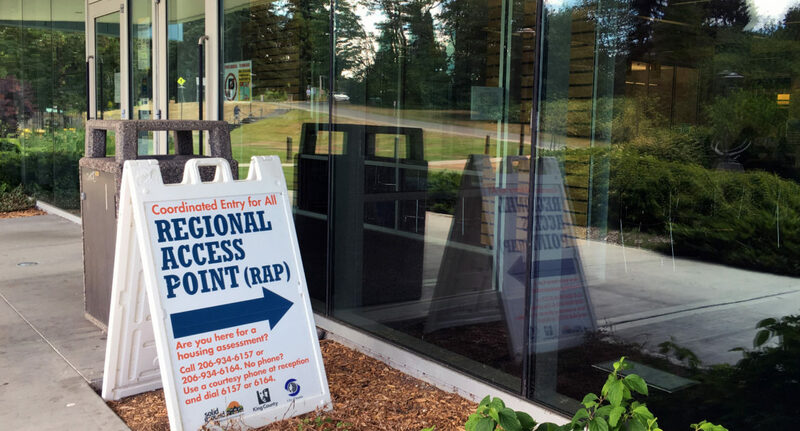 With five locations, RAPs were developed to improve the effectiveness and reach of the Coordinated Entry for All (CEA) system for connecting people with housing and related resources. Solid Ground staffs the North Seattle RAP, co-located with North Seattle Community College’s Opportunity Center for Employment and Education (OCE&E). Those seeking the service schedule a RAP appointment by calling 211, the hotline that connects callers with community resources in Washington state. RAPs connect people experiencing homelessness with real humans to help understand their options. Fortunately, every participant is presented with an alternative. Atnafu describes Diversion as a streamlined option for diverting qualified clients out of homelessness with creative solutions, including negotiating with previous family or friends, or possibly one-time financial assistance depending upon funding availability. Those seeking this option must be identified as homeless before evaluation. “The County doesn’t consider sleeping at a friend’s house as homeless because you have a roof over your head,” he explains. Additionally, participants must locate a housing option in advance as there is no housing search component. Completed questionnaires are directed to King County, which prioritizes and contacts only 150 individuals out of the queue of 11,000 per month. That’s a long waiting list. JiaJia and Atnafu both share the joy of witnessing participants become housed. JiaJia says, “We have the privilege of celebrating with clients.” Atnafu says “to see the relief on the client’s face when the whole process is done and they are able to move into their place” makes him feel that he did everything possible to assist them. One difficulty the RAP program faces is communicating its services to those experiencing homelessness. Atnafu says that “putting a ‘face’ with the program” is a particular priority of his. To make RAP services available to potential participants, he recently conducted outreach at the FamilyWorks Food Bank (co-located with Solid Ground’s headquarters building), and he plans to continue. His goal is to not only make people feel comfortable with the RAP services, but with himself. “It’s very vulnerable for an individual to come in and talk about their housing situation, their barriers, especially in front of a complete stranger,” he says. Both JiaJia and Atnafu highlight the foremost challenge as the lack of housing resources in comparison to those in desperate need of them. Yet there is reason to be hopeful; JiaJia shares a success story amid the realities of limited resources and uncertainty. “One client I had was working and living out of her car, fleeing from her abusive partner. She just needed to find another place, and it was just a small amount of money necessary. I was even able to refer her to the domestic violence advocate here,” JiaJia recounts. 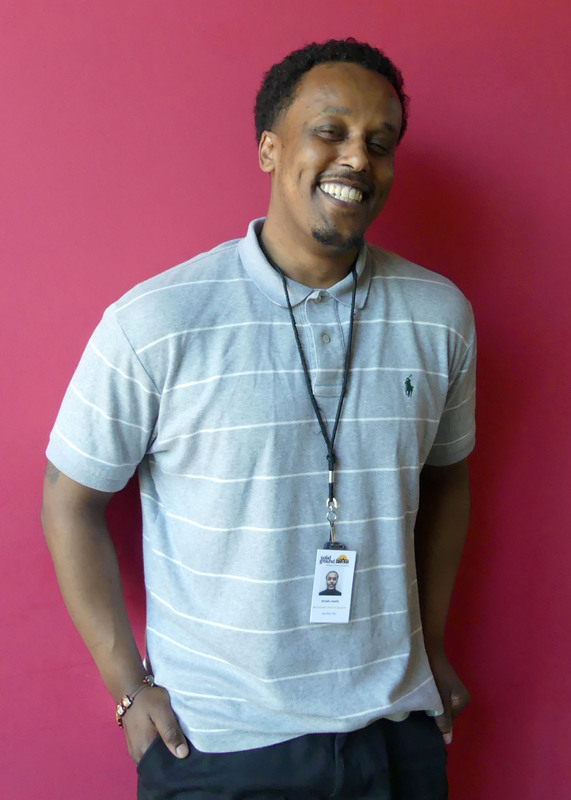 Though RAP is relatively new and may be a little-known service created in response to the reality of our region’s housing crisis, individuals and families alike are connecting with the resources they need in their search for stable housing. The human faces of the RAP assist in this search, a devoted group of employees that strive to make the process a bit more endurable. Featured image at top: The RAP sign points to the North Seattle office, located within the Opportunity Center for Employment and Education at North Seattle Community College (photo by JiaJia Li).